It’s visual, tactile, audible and olfactory. It’s weighty and timeless. It’s the total sensory difference between classic building craftsmanship and fast, efficient new construction. You experience this difference every time you enter an old post office, courthouse, or classical office building in an older section of your city. From the moment your hand touches the sanded brass door handles and you exert a little effort in opening those wide heavy doors, you feel you’ve stepped back in time to when the practice of architecture had a more lasting purpose behind it. Inside these classic old buildings, even the echoed sounds and ever-present smells are the same as those you remember from childhood when you accompanied your parents on various errands downtown. Indeed, these old buildings were built to last far beyond the generations that built them, and they all have but for the selective decisions of planners to change and modernize sections of their cities. Older homes and townhouses that have stood the test of time have much the same quality of materials and craftsmanship of their commercial and institutional counterparts. How does the material quality of a circa 1890 Victorian house “feel” compared with a 2015 “luxury” 4-bedroom colonial? Your mind can instantly conjure the difference. In times past (and not just the Bronze Age), bronze (a mostly copper alloy) was a very common architectural element used to add a solid, permanent quality to various building components and fixtures. Regardless of cost, copper and bronze were desired over other less expensive metals because of corrosion resistance as well as the beautiful color and finish of the metals’ natural patinas. Wherever bronze fixtures remain in place, there’s a steadfast quality of look and feel in the architecture. manifest in their fine homebuilding craftsmanship. Design opportunity: Doorframes, stringers, knobs, handles, rails and other fixtures made of brass tend to stand out boldly in new construction today because they are generally unexpected. Dare we say that because of the desire for speed, efficiency and higher profits, the real estate industry has settled for less in the quality of the actual product it sells; the built environment? We think it’s pretty evident in both commercial and residential construction, especially when you compare the old with the new, side by side. You will feel the difference simply by opening a door built 100 years ago compared with opening a comparable one built recently. You can almost predict which door will still work just as well in another 100 years – the one that will then be 200 years old! The bronze fixtures and reinforcements remain solidly unchanged. Bronze is still commonly used in various industrial applications that call for its desired physical properties. Its architectural use, though somewhat rare today, is still specified by those designers who know there is no substitution for it. The use of bronze in architectural design requires a budget suitable for long term investment in top quality construction. Having that level of commitment by owners gives you license for considering architectural bronze if it fits your client’s tastes and quality expectations. You can custom fabricate bronze for just about any architectural and ornamental metals requirement you and your clients desire. 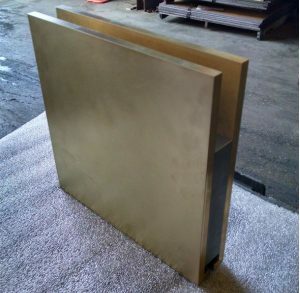 Wherever the weight, strength, color, texture and noncorrosive properties of bronze would be the ideal, there you can have it as long as you can source the manufacturing. Modern Metal Solutions understands the metallurgy and fabrication characteristics of copper, bronze, brass and other copper alloys. 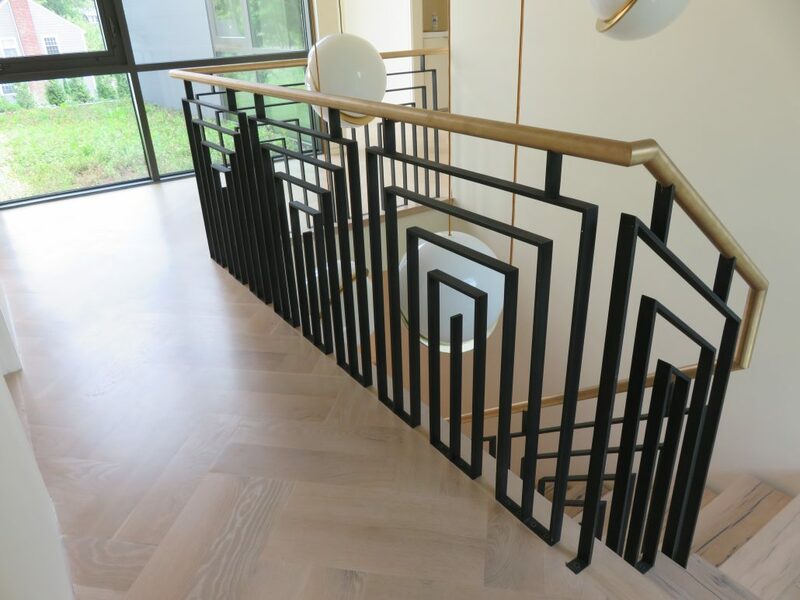 We offer solutions to architects who want to distinguish their work with these timeless and beautiful metals.